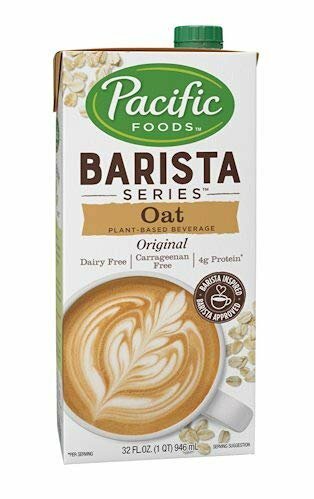 Pacific Natural Foods Oat Milk Barista Series-Non-Dairy Gluten Free- 32 oz ea- case of 6 by Pacific at Smokey Robinson Foods. Hurry! Limited time offer. Offer valid only while supplies last.